A classification essay is also called a division essay. An ability to classify is one of the most remarkable abilities of human intellect. To classify means to find differences between given things and to sort them in groups according to given similarities. Probably you think that classification is boring and is typical only of natural scientists - anatomists, biologists, etc., don't you? On the contrary, classification is an activity which people do constantly and almost all the time. Perhaps only during sleep people don't do it. One classifies the people he/she meets - they are friendly/not very friendly, young or old, from “my town” or from “far away.” People classify the products in the supermarket and usually buy the cheap ones or the quality ones. Even one’s Facebook friends list contains definite groups of people- from close friends to acquaintances, and others. Therefore, you cannot avoid classifying and categorizing things, persons, events, processes, and others. The good thing is that you can find plenty of topics and objects to be classified, sorted out, divided or united into categories. If written properly, the classification essay allows the readers to understand the topic easily and comprehend the writer’s thoughts in a single glance. 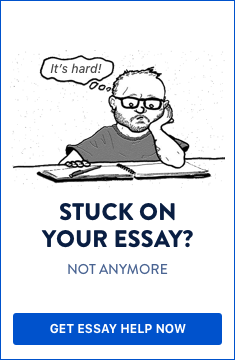 When compared with a general essay where all information is dumped into different paragraphs, the classification essay requires less time to read. This statement is especially true if the classification essay is targeted at general audience. Upon reading about the advantages of the classification essay, you might be wondering how to write a classification essay in a more efficient manner, aren’t you? To begin with, you should understand that classification essay writing is an art and it demands a certain amount of experience and writing skills. However, by following certain rules and practicing few techniques, you can master classification essay writing with no problem. A classification essay aims at showing different types of a given thing. There are a lot of abstract concepts through which people perceive the world. There is the word “tree”; but there is not only one tree in the world. Hence, “tree” is an abstract concept, a term which needs to be analyzed in more detail. Your task it to pick up such a concept (a category) and to show its subcategories; that is, different types of trees. You have to start from the abstract and to arrive at the particular. Before writing a classification essay, you should understand a topic thoroughly; thus, you can clearly classify all available information into different categories and sub categories. Once all the categories and sub-categories are finalized, they should be arranged in a logical and organized order. It is critical to follow the same organizing principle for all the categories. In order to avoid confusion we recommend you to perform your classifications under one category. Regarding their leaves, trees can be divided mainly into conifers and broad-leaved trees. Regarding their geographic location they can be divided into tropical, temperate climate trees, and others. You could discuss every possible thing and show its types. Students write enthusiastically about various types of persons/characters. However, such topics are not very subtle and do not allow for demonstrating excellent analytical skills. We advise you to focus your work on processes, events, historical figures, and ideas. An example of classification essay topic offered in the present article is “Different types of colleges according to their academic achievements: observations and recommendations.” With this topic formulation you indicate a thesis - in this case that there are colleges for recommendation and not for recommendation. Hence you want to help the reader to choose between different types of colleges. However strange, a thesis is an important part of your classification essay. You need not merely to observe and to describe but to give some practical advice as well. Your reader wants to get some knowledge so give it to him! Basically, a thesis for a classification essay is a well-justified assertion directly related to the topic discussed. If you write about colleges, you cannot elaborate a thesis related to, let’s say, schools. Your thesis should not exceed three sentences, if possible, but not more than ten lines of text. It must be inserted in the introduction paragraph or right after it. A thesis for a classification essay is a well-justified assertion directly related to the topic discussed. It shouldn’t exceed 3 sentences, if possible, but not more than 10 lines of text. the examined entity (thing,event,process) and its types (sub-categories). You can modify the outline before starting the essay; after that such a modification is not desirable (it may make you confused). If suddenly it comes to your mind that the thesis is not good enough, then it is better to write a new outline. You can do a simple classification: merely define several types of the given abstract concept. It is important to inform your readers that the presented classification does not exhaust all possible types of the given thing/process. All you need to do is to describe several types. Hence, if there are conceivably thirty types of colleges regarding their effectiveness and achievements, you can pick up only three, four or five as the most important ones. Don’t forget to classify them according to only one criterion. If there are more criteria, you need to elaborate additional classifications. Like all other essays, a classification essay should also be structured into three main components, such as: introduction, body, and conclusion. If you have a choice to select a topic, it is always advisable to choose a broad subject so that you will have more scope to divide the essay into different categories. Moreover, you should select a topic that is more familiar to you for easy flow of thoughts. Upon selecting the topic, you should allocate some time to recollect all the information that you know related to that topic and put it as a rough draft. Later, spend some time to dissect the information into categories and subcategories. Once you are clear about your thoughts that you are going to pen down, you can proceed with writing an essay by following few tips mentioned below. In the introduction, you should provide basic information related to the topic that you are supposed to write. Generally, readers try to presume the content in the essay by reading the introduction. For a writer it is the best chance to grab the reader’s attention, so your classification essay introduction should be crisp, but at the same time provide the main idea of your paper. In this part, in addition to providing preview of the topic, you should be able to generate some expectations about the essay. A body of the classification essay should contain all main components of the topic. This part is the major differentiator of the classification essay compared to other type of essays. In this part, you need to provide your main idea. If possible, support all your statements with pertinent examples, which allow the reader to understand your thoughts more clearly. In this context, remember the saying “too many cooks spoil the broth”, so do no provide too many examples for the same topic. Moreover, examples should not occupy the major part of an essay, so provide valid and concise examples wherever required. If needed, compare the ideas described in different categories to ensure cohesion in the body of the essay. While illustrating the information under different subheadings, sometimes, writers miss the flow between the topics. Considering this you should make sure there’s a smooth transition from one category to the next. As there is no standard format for providing information, you should use your discretion for arranging the classification essay in a clear and logical order. Usage of an appropriate format to separate categories and subcategories will help avoid confusion. Generally, if there are many categories, writers might mix the thoughts. So, by considering this probability of errors, you should be clear in expressing your ideas more cogently and meet the expectations that you raised in the introductory paragraph. In the conclusion section, you can summarize all your thoughts mentioned in the body of the classification paper, and if required, comment on the positives and limitations of each of these thoughts. You may also support any particular thought that was explored in the essay and provide a reason for your decision. It is better to employ neutral language; that is, to avoid using first person (“I believe”, “I think”, “I am sure”, “My own experience says that…”). Of course, you can try to be clearer in your expression by using simple, mundane language. Complicated terminology is not typical of classification essays, at least at high-school level. However, if you write a college classification essay then you need to be more careful in your language and meet the academic criteria for academic paper. (Introduction) Colleges can be classified according to their academic achievements in three types: excellent, average, and poor. Academic achievements should be defined in terms of conducting scientific research, organizing conferences, having high scientific impact (especially through publications) and receiving external funds based on research. (Thesis) Excellent colleges are not always appropriate for every kind of student. They offer many opportunities but require a lot of time and efforts. Excellent colleges are those with the highest academic achievements. Their staff and students attend international conferences, receive a lot of external funds, carry out internationally recognized research with high impact factor. If you are enrolled in such a college you can have many opportunities for academic career but you will have to dedicate all of your time. Average colleges have achievements at state or regional level. Sometimes they can receive external funds. They are the appropriate environment for young gifted scientists who are still afraid of entering the academic world. Poor colleges do not have enough academic achievements. Probably, they are chosen by the students because of other reasons such as lower taxes, excellent international cooperation (and possibilities to stay abroad), or advanced technical equipment. One should keep in mind that there could be also other degrees of scientific achievements depending on the particular subject or field in which the research is done - Natural sciences, Social sciences, Humanities, etc. (Conclusion) This essay concerns only the academic achievements of the given colleges. In other respects the excellent colleges could turn out to be poor. So, always be careful what you choose and think about what you want from your education. As you see, you can insert some practical advice related to the object discussed by you. The classification should not be merely descriptive but also practical. The division offered by you can be subjected to another, more detailed division (to divide the first type of colleges into other three sub-types). Once the essay is done you should revise it carefully, paying heed especially to the internal logic present in it and the criterion for classification. Check your grammar and punctuation as well. We have come up with a list of 78 most popular classification essay topics that you may consider for your next assignment. In a nutshell, in order to write an effective classification essay, you should start with a proper introduction followed by the main idea that is logically arranged with categories and subcategories along with pertinent examples. The essay should be concluded with a brief summary of discussed ideas and highlighting your comments on the subject. A classification essay is not amongst the hardest papers to write but still you should not underestimate your task. Do you need help with writing a classification essay?